You read all the guides on digital marketing funnels, defined your audience personas, created your editorial calendar, and spent hours researching and writing the perfect content for your customers. After posting the content, your blog post got retweeted by an influencer and traffic to your site has doubled. Congratulations! Now, it’s time to do it again. Effective content marketing can be a bit of a grind, especially for small teams or individuals with other marketing priorities to manage on a regular basis. According to a LinkedIn report, the number one challenge businesses face with content marketing is having the time and bandwidth to create content. The second challenge? Creating enough content variety and volume. With limited time and an unlimited need for content, it is important to get the most out of your existing efforts before heading back to the drawing board. Instead of starting from scratch on your next piece of content, consider giving some of your best-performing blog posts new life by repurposing it for visual content marketing. With so many performance advantages, it’s clear how visual content marketing can breathe new life into existing content. 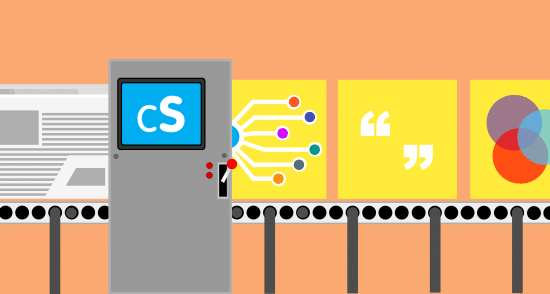 You know your content is relevant; your blog post’s past performance has already proven that. You are just repackaging it in a format that will reach more potential customers. With the convincing out of the way, it’s time to define the best visual formats for repurposing content. 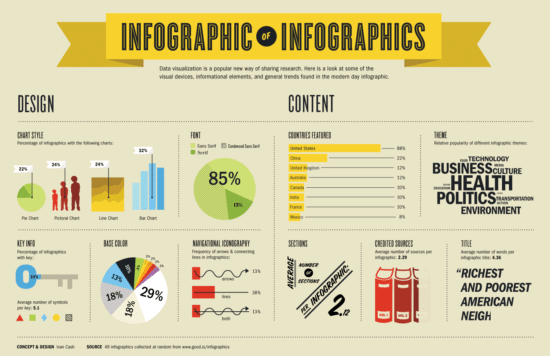 Infographics are a popular form of content marketing because they take the substance of a good blog post or case study and compress the content into something significantly more sharable (a Mass Planner report states that infographics are liked and shared 3 times more than any other content on social media). I have written about how successful an infographic can be for businesses, but don’t just take my word for it. Neil Patel, c0- founder of KISSmetrics and Quick Sprout, used infographics on the KISSmetrics blog to generate over 2.5 million visitors in 2010 and continues to believe in the power of infographics. Many companies have repurposed their best blog posts into infographics with great success. Buffer turned their “How to Create a Social Media Marketing Strategy From Scratch” post into an infographic during their “no new content” month (more on that here) and continues to use portions the infographic for their email courses. Brian Dean, founder of Backlinko, even transforms other blogs’ best posts into infographics (he calls them “guestographics”), a method he says is his favorite for generating backlinks to his site. With the content already outlined in the blog post, the bulk of the work is in the hands of the designer who can immediately get to work on communicating the information visually. crowdSPRING’s 1-to-1 projects are especially suited for this project, as you can pick a designer with infographic experience and work with them directly to get the exact infographic you want with a quick turnaround. 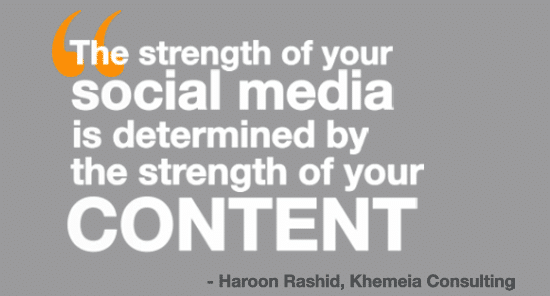 To drive new traffic to a blog post your audience needs to actually share your content. The best way to do that? 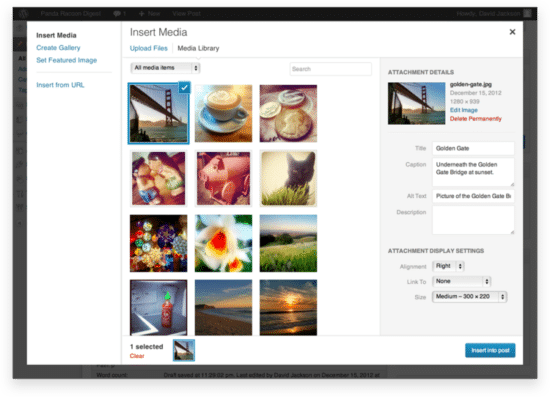 Use social media images. After reviewing the engagement habits of their entire user base, Buffer reported that tweets with images received 150% more retweets than tweets without images so a significant bump in reach could be just one good image away. Simply reposting the featured image from your blog post with a link to your content can get old for your audience, fast. To avoid this, you can create a series of distinct social-only images from one blog post if you know what to look for. These unique images will allow you to re-share your content multiple times without fear of repetition for your audience while testing out what kind of imagery your audience is most receptive to. Most social media images can be created with online image editors and a little design know-how, but don’t be afraid to look for design help for your first few rounds. Consider setting up a design consultation with a crowdSPRING expert to see if the social media images are something you should take to the crowd. With that in mind, it’s important to revisit your blog post and make sure you have the right amount of images. If not, you may want to consider creating an entirely new set of images for your post rather than adding some additional stock photography or memes. An often quoted statistic is that content with relevant images gets 94% more views than content without relevant images, meaning relevance is just as important as quantity when measuring the effectiveness of blog imagery. Because the blog post is already written, a good designer should be able to quickly understand your design needs and provide relevant, original imagery for your blog. Crowdsourced design is especially helpful for projects like this, because you can see how your blog post inspires the designs of many different creatives and pick the style most suited for you and your audience. With an arsenal of new visual assets, it’s time to spread the word (or in this case, image). You can start by promoting on the obvious channels like Twitter, Facebook, and LinkedIn, but it’s important to use these assets on platforms that were previously less viable to you when you just had a blog post. Platforms like Tumblr and Pinterest are visual-centric and with a new set of interesting and relevant images, you can connect to an entirely new audience for the first time. 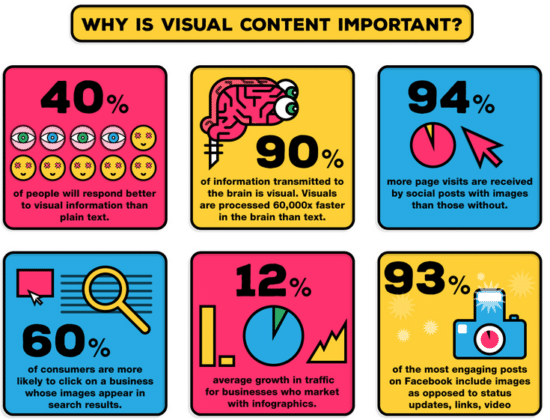 Remember to take a look at the performance of all the different visual assets to help prioritize your visual content marketing efforts in the future. Look at social metrics like shares and link clicks and web metrics like new visitors to get a better idea of what images contributed the most value to your content strategy. You may not see a boost in performance immediately, but a consistent visual content marketing strategy will help strengthen your brand and ultimately put your business in front of more potential customers.